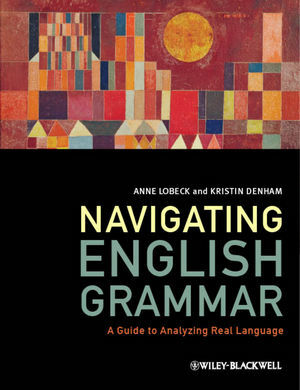 Bringing together an international and interdisciplinary team of contributors, this Handbook is a wide-ranging and invaluable reference guide to language teaching. Michael H. Long is Professor of Second Language Acquisition in the School of Languages, Literatures, and Cultures at the University of Maryland. Recent publications include The Handbook of Second Language Acquisition, co-edited with Catherine Doughty (Wiley-Blackwell, 2003), Second Language Needs Analysis (2005), and Problems in Second Language Acquisition (2007). Catherine J. Doughty is Senior Research Scientist and Second Language Acquisition Area Director at the Center for the Advanced Study of Language at the University of Maryland, and is an affiliate Professor of Second Language Acquisition at the University of Maryland. She is co-editor (with Michael Long) of The Handbook of Second Language Acquisition (Wiley-Blackwell, 2003). 1 Language Teaching (Michael H. Long). Part II Social, Political, and Educational Contexts of Language Teaching. 2 The Social and Sociolinguistic Contexts of Language Learning and Teaching (Sandra Lee McKay and Rani Rubdy). 3 The Politics and Policies of Language and Language Teaching (Robert Phillipson and Tove Skutnabb-Kangas). 4 History of Language Teaching (Diane Musumeci). Part III Psycholinguistic Underpinnings of Language Learning. 5 The Language-Learning Brain (Alan Beretta). 6 Sequences and Processes in Language Learning (Lourdes Ortega). 7 The Importance of Cross-Linguistic Similarity in Foreign Language Learning (Hakan Ringbom and Scott Jarvis). 8 Cognitive-Psychological Processes in Second Language Learning (Robert M. DeKeyser). 9 Optimizing the Input: Frequency and Sampling in Usage-Based and Form-Focused Learning (Nick C. Ellis). 10 Bilingual and Immersion Programs (Jim Cummins). 11 Heritage Language Programs (Silvina Montrul). 12 Specific Purpose Programs (Ken Hyland). 13 Study Abroad Research: Findings, Implications, and Future Directions (Joseph Collentine). 14 Less Commonly Taught Languages: Issues in Learning and Teaching (Kira gor and Karen Vatz). 15 Third Language Acquisition Theory and Practice (William P. Rivers and Ewa M. Golonka). Part V Course Design and Materials Writing. 16 Foreign and Second Language Needs Analysis (James Dean Brown). 17 Syllabus Design (Peter Robinson). 18 Advances in Materials Design (Alan Waters). 19 Corpora in Language Teaching (John Flowerdew). 20 Technology-Enhanced Materials (David Brett and Marta González-Lloret). Part VI Teaching and Testing. 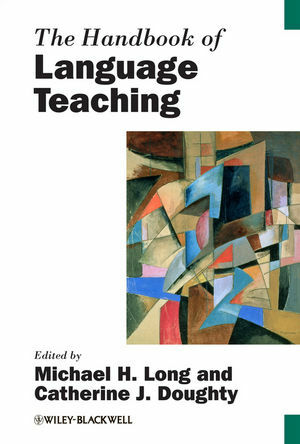 21 Methodological Principles for Language Teaching (Michael H. Long). 22 Teaching and Testing Listening Comprehension (Larry Vandergrift and Christine Goh). 23 Teaching and Testing Speaking (Martin Bygate). 24 Teaching and Testing Reading (William Grabe). 25 Learning to Read in New Writing Systems (Keiko Koda). 26 Teaching and Testing Writing (Charlene Polio and Jessica Williams). 27 Teaching and Testing Grammar (Diane Larsen-Freeman). 28 Teaching and Testing Vocabulary (Paul Nation and Teresa Chung). 29 Teaching and Testing Pragmatics (Carsten Roever). 30 Task-Based Teaching and Testing (John M. Norris). 31 Radical Language Teaching (Graham Crookes). 32 Diagnostic Feedback in Language Assessment (Antony John Kunnan and Eunice Eunhee Jang). 33 Computer-Assisted Teaching and Testing (Carol A. Chapelle). 34 Language Teacher Education (Renée Jourdenais). 35 Diffusion and Implementation of Innovations (Kris Van den Branden). Part VIII Assessing and Evaluating Instruction. 36 Current Trends in Classroom Research (Rosamond F. Mitchell). 38 Investigating the Effects and Effectiveness of L2 Instruction (Rick de Graaff and Alex Housen). 39 Program Evaluation (Steven J. Ross).